Property owners in Greensboro need to get immediate help from a company they can trust after they experience water damage caused by hurricanes, floods, winter storms, or plumbing emergencies. 911 Restoration of Greensboro can provide you with the same-day services you need after a flood or a pipe burst emergency. You can contact our techs 24/7/365 and expect to get help within 45 minutes in the areas around Greensboro and High Point. 911 Restoration of Greensboro is a professional water extraction company armed with top-of-the-line equipment. We can arrive at your property armed with professional-grade pumps, air movers, dehumidifiers, and infrared scanners. Make sure you get help from a company that knows how to handle business and home water damage. 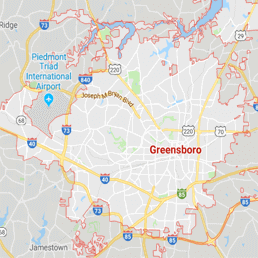 911 Restoration of Greensboro can arrive when you need help the most and the techs can provide you with a free visual inspection for property owners only. Get the water damage restoration services you need to recover from carpet water damage, a burst pipe, flooding caused by rain, and any other issues thrown at you by Mother Nature. The techs at 911 Restoration of Greensboro can return your property to better-than-new condition so you can get a Fresh Start. Do You Need Mold Removal Services after Water Damage? Water damage can cause a lot of obvious damage to homes and businesses in Greensboro and High Point. Water can warp floors, destroy drywall, and ruin furnishings. Water from a flood or a pipe burst can also allow mold to infest your property. You should get professional help handling mold remediation. Some forms of mold can cause serious allergic reactions. Other types of mold – including black mold – are toxic. Let professional mold specialists assess your situation and handle mold removal to make sure your health is protected. As a professional mold remediation company, 911 Restoration of Greensboro knows the best strategies for handling mold cleanup. You can count on our licensed, bonded, and insured techs to work quickly and thoroughly on your property after a mold infestation. Let us provide you with the dedicated support you need to handle mold growth. You can count on us to return your property to the pristine condition you deserve. Flood cleanup and plumbing emergencies can feel overwhelming if you don’t have professional help on your side. Fortunately, 911 Restoration of Greensboro is only a phone call away, anytime of the day or night. Water damage restoration can be a painless process with the help of professional technicians. 911 Restoration of Greensboro works with all insurance companies and can help keep the repair work on your home or business stress-free. We understand what you’re going through after you experience a pipe burst emergency or a flood. You can count on us to provide you with the support you need while our techs work to completely repair and restore your home or business. As a full-service property restoration company, 911 Restoration of Greensboro can handle any mold growth caused by water damage. Contact us to get a free visual mold inspection for property owners only. Let us remove mold and take care of mold decontamination so you can’t tell a mold infestation ever occurred. Let 911 Restoration of Greensboro return your property to the perfect condition you deserve so you can get a Fresh Start after a flood or a plumbing emergency. Property owners should call today for professional water damage restoration.